Free shipping to United States when you buy 2 items from DearAvaJewelry. See item details below for sale terms. Graduation is an exciting time, but it can also leave grads worried about their next steps. Remind them they’re headed for greatness with this beautiful, symbolic compass necklace. 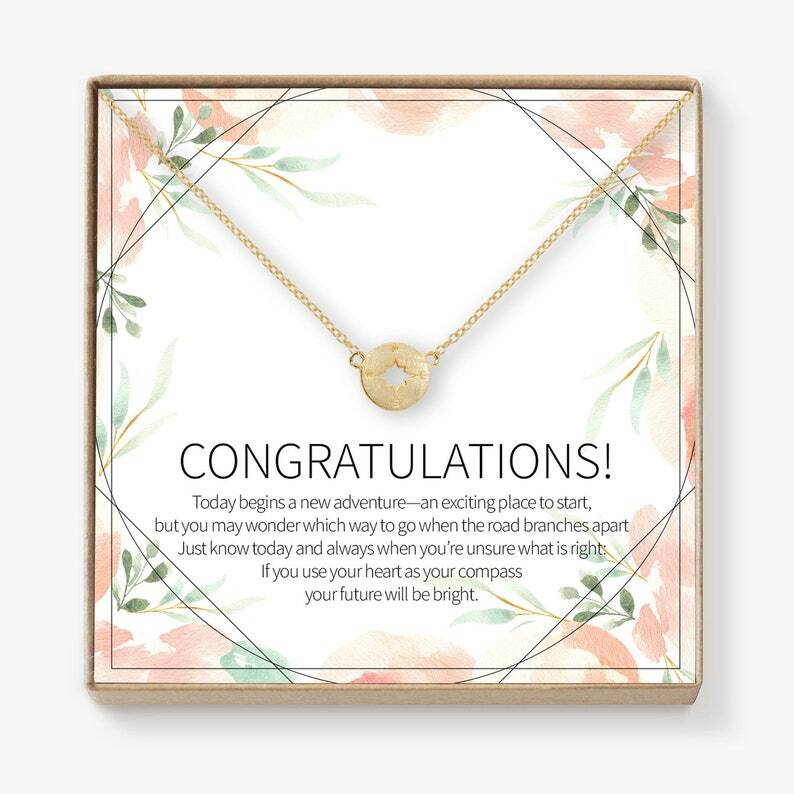 This necklace makes a great gift for any graduation—high school, college, and graduate school included. Free Shipping on All USA Orders! Buy 2 or more, get 10% off! Graduation Quote: Today begins a new adventure—an exciting place to start, but you may wonder which way to go when the road branches apart. Just know today and always when you’re unsure what is right: If you use your heart as your compass your future will be bright. Save 15% when you purchase 3 or more! Buy 2 or more, get FREE shipping!